Screenplays are almost always distributed as .pdfs, so many screenwriters (and other film-and-TV-types) have been hoping that the iPad’s large screen and innate support for .pdfs would make it an ideal reading device. Steve Jobs heard your prayers. It’s really, really good for reading scripts. The iPad’s built-in apps handle .pdfs pretty transparently. Click a link in Safari, or an attachment in Mail, and the iPad shows you a very accurate Quick Look. For something short like a scanned article, it’s dandy. Screenplays are long. They average around 120 pages — and there’s no way to skip ahead to page 48 without frantic swiping. You can’t mark your place. Click the home button and you’re back to page one. You can’t search. In an electronic version, you should really be able to find the first time HORATIO speaks. You can’t annotate, highlight or copy. You’re really just seeing a picture of the document, not the words themselves. As of this writing — on iPad’s launch day — there are at least six dedicated .pdf readers in the App Store. My favorite at the moment is GoodReader – Tablet Edition, which is currently priced at 99 cents. There will no doubt be more contenders in the weeks and months to come, so keep in mind this endorsement has an expiration date. It’s the best solution I’ve found today. GoodReader has multiple ways of importing .pdfs. The most straightforward is Web Downloads. Use the built-in browser to poke around the web to the file you want, then let GoodReader slurp it in. Any of the scripts in the Library, for example, are clicks away. Most of the scripts I read come attached to emails. All the readers in the App Store have means of shuffling these files from your computer to your iPad — most often through iTunes — but I wanted a solution that didn’t use an intermediary computer. That’s ultimately what put GoodReader ahead of the others. GoodReader’s Connect to Servers tab lets you log in to your mail server and check for messages with attachments. Choose the message, select the .pdf you want to import, and it shows up in your sidebar. Keep in mind that GoodReader is actually accessing your mail account. This may make you (and your system administrators) uncomfortable. As a workaround, you may want to set up an email account (perhaps at Gmail) that is just for scripts you want to read. Forward scripts to that account, and give GoodReader that login info. Once you have a .pdf open in GoodReader — or any of these apps — the experience is solid. Simple taps or gestures let you flip pages, while more-traditional scrollbars appear to let you zip ahead. A man, a mission, a fiendishly clever bad guy, some guns and a few explosions. It's the classic recipe for a good action movie. Back in the 1980s, Shane Black became Hollywood's go-to screenwriter for that sort of stuff. 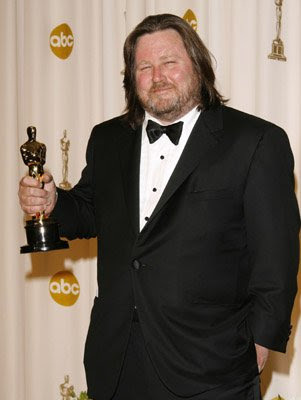 He wrote Lethal Weapon when he was just 23 and went on to write scripts for Last Action Hero, The Last Boy Scout and The Long Kiss Goodnight. As the forthcoming 12 Rounds bucks the recent summer blockbuster trend for self-indulgent CGI, aliens, superheroes and implausibly large-scale battles - to transport us back to a time when heroes would conquer villains with nothing more than courage, a revolver and a stock of sardonic one-liners - this is his masterclass of moves no action movie should be without. That sounds obvious but I see a lot of movies these days that have a bunch of scenes that concern the plot and a bunch of separate scenes that feature the action. But you could lift all the action scenes out wholesale and it would make no difference to the meaning of the film. The action should always go hand in hand with the story so it's all invisibly interconnected. Take the original Star Wars movies: every action sequence is perfectly timed and is designed not just to excite the audience on a visceral level but also to reveal crucial elements of the plot and characters. An action movie should, like any other, follow the narrative traditions of literature. That means there should be subtlety, a slow build and a gradual bringing together of all the separate threads of the plot. To see all of it coming together slowly is very rewarding for the audience. But if you make everything go at 100 miles per hour from the outset, it loses any impact or meaning. I mean, if a flying truck lands on the bonnet of your car, it should be shocking and scary. But if stuff like that is happening constantly throughout the film, it becomes mundane. An action film can have too much action; picture an equaliser on a stereo, with all the knobs pegged at 10. It becomes a cacophony and is, ultimately, quite boring. Now picture the high-low variations in a film such as Jaws. The lulls, the high points: it's essentially a well-choreographed dance with the viewer. I have a friend who is a paramedic. Recently he told me about finding a guy who had fallen off a ledge over a freeway and died instantly. The guy had been skipping along with a friend, telling her about a party he was going to, hopped on to a ledge and a second later he was gone. That's how moments of drama unfold in real life. Quickly, spontaneously and with no warning. That's how they should be in action films, too. Violence and action should suddenly punctuate perfectly normal circumstances. Take the moment when the house explodes in Lethal Weapon: these two guys, who we've already established are a pair of plodding cops, wander up to the building and suddenly, boom! The explosion was immense but it was the only thing of that scale in the entire movie. It was supposed to be shocking and wild and sudden. You could see the protagonists were scared by it. Often, those moments are just stretched out for too long, like in Die Another Day: Bond is driving around on this ice sheet and his car flips on its roof. He pops the ejector seat to make the car flip back on to its wheels and the audience gasp. Now, if he'd quickly fired his rockets and nailed the bad guy it would have been the perfect end to the sequence and the audience would have applauded. But instead they stretched the sequence out for another 10 minutes and it just got dull. I always have humour in my action movies. I think characters that make jokes under fire are more real. It somehow helps put you in their shoes. But only if the jokes are conversational and not stupid. I think in recent times people have gone overboard with a certain type of Jerry Lewis style. But I used to love older movies where the jokes were more throwaway: that effortless riffing that Nick Nolte and Eddie Murphy did so well in 48 Hrs - remember when they're trailing a suspect and Eddie says: "For a cop you're pretty stupid, man. You're driving too close." And Nick says: "Yeah, well, most cops are pretty stupid, but seeing as you landed in jail what does that make you?" Real people in real situations don't stop and wait for their gags to be registered and applauded. They just chuck them out as they go along. I try to make all the action in my movies subjective; to give a sense of what it would feel like to actually be a part of it. You might see a person disappear in the shadows and then a shot come out of nowhere. A great example of this style is the shootout scene in No Country For Old Men. You're in the protagonist's shoes. What surprises him surprises you. Another example, probably the best ever, is the shootout in Butch Cassidy and the Sundance Kid. You don't remember specific beats - just the crash of guns, the headlong suicide run, the crescendo and out. It builds perfectly and really creates a harrowing atmosphere. A 1983 promotional interview with Frank Herbert and David Lynch, freshly posted on YouTube, features Dune author Herbert explaining in unambiguous terms his fondness for the Lynch Dune film that polarized his readers. David Lynch's 1984 adaptation of Dune, with its grotesque baron, lithe Sting and pre-Blue Velvet Kyle McLachlan, sharply divided the audience for what's often considered SF's bestselling novel. It succeeded neither critically nor commercially — even the easy-going Roger Ebert dissed it, calling it "a real mess... incomprehensible, ugly, unstructured, pointless." 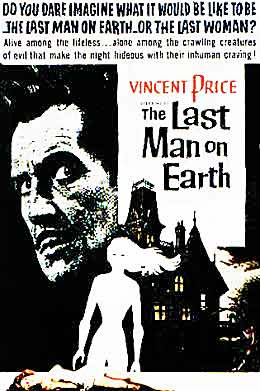 Audiences generally agreed, and many of the novel's fans thought the baroque film took too many liberties. To the author himself, though, the film succeeds at many levels, in some ways better than his novel. "As far as I'm concerned, the film is a visual feast," he says in the interview, going on to explain that he wants to frame some of the film's stills so he can have them around him. Herbert was heavily involved with the Lynch film, and even admits at one point that his own screenplay for Dune was horrible. 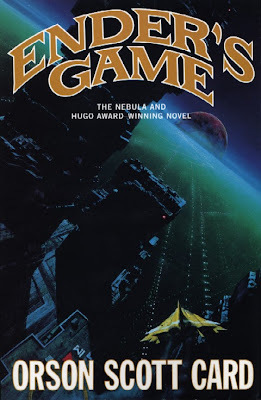 There's much more to the interview, posted in six parts — Lynch mentioning he'd finished a script for Dune 2, the two men saying they'd barely heard of each other until they came to work together, and Herbert explaining the political origins of his 1965 novel which has since spawned several adaptations and a sequel/prequel cottage industry. I'm a history buff... and I got the idea that we had not looked at the messianic impulse in human society... the impact of a messiah, on history, as the creator of a power structure. Because no matter how good the messiah, other people enter the scene. Other people are attracted to the power structure. Every messiah I studied in history was a reformer. Said Lynch of the project of adapting a book with such a large and rabid following: "You've got to be either stupid or crazy to try something like this." You can watch all 6 parts here. Premise: A straight-laced but depressed cop goes on a mission to find out who killed his daughter. 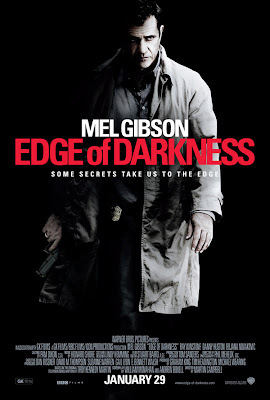 About: On the eve of the announcement that Mel Gibson is reteaming with Shane Black, we get his thriller, Edge of Darkness, in theaters this Friday. This is the first project Mel’s starred in in a long time, and there were whispers it was because he was blacklisted in Hollywood after his drunken rant a few years ago. For awhile, DeNiro was actually attached to this project, but dropped out a few days into shooting because of “creative differences.” Usually, we never find out what these “creative differences” are, but in this case, we learned that it was because DeNiro didn’t memorize his lines! How cool would that have been, seeing Gibson and Deniro work together? Aww man, what could’ve been. Monahan holding up the little gold guy, looking as uncomfortable as I've ever seen a man. Let me start off by saying I have no idea which draft this is because there’s no title page. Its 127 pages implies it’s a draft from earlier on in the process though, so this is likely a little different from the final film. Surprising as it may sound, I’ve never read a William Monahan script before. "Surprising" because if there’s one writer who I’m continually told other writers are in awe of, it’s Monahan. The thing is, I haven’t been impressed enough by his movies to seek out any of his scripts. Despite a few nice scenes and a couple of good performances in The Departed, I thought the story was all over the place. I know some people think I'm batty for saying so, but look at Kingdom of Heaven, which also supports the case that his stories are unfocused (and yes, I saw the extended cut as well – which turned unfocused and short into unfocused and long). Body of Lies would’ve been a bad direct-to-video title had it not been for Scott, Crowe and DiCaprio’s involvement. So I was struggling to figure out just why people were so impressed with this guy. Ten pages into Edge of Darkness, I found out. I don’t know exactly how to explain it, but Monahan has a command over his words that bring even the most mundane passages alive. The thing about Edge of Darkness is it’s so relentlessly depressing that you want to give up by the end of the first act. But Monahan’s writing – the way he builds mystery, the way he builds character, the way he writes dialogue – keeps you pushing down deeper into the darkness…and enjoying it. Make no mistake, this script is about one thing – death – and never has the subject matter been so exciting. It almost sounds like something The Onion would craft for laughs, but this is absolutely true as THR's Heat Vision reports George Lucas is in pre-production at Skywalker Ranch on an untitled, super secret, CGI musical of which the only plot details that have come to surface are that it features fairies. I guess if James Cameron can remake Fern Gully, Lucas thinks he should take a crack at it. I jest, but the project does seem a little out of the ordinary. But then again, I remember some in depth discussion about the creation of the space opera that takes place in Revenge of the Sith so maybe its some kind of weird passion project for him. Directing the film is Kevin Munroe who most recently brought us the moderately cool CGI action TMNT (Teenage Mutant Ninja Turtles if you're not familiar), and he's working from a script by David Berenbaum (Elf, The Spiderwick Chronicles), but it's not clear if Berenbaum worked from an original story idea from Lucas (it sounds like that's the case). If history is any indication that's usually when Lucas' ideas are best utilized since they have a filter before they're thrown onto a screen. LucasFilm says it's too early to even comment on the project, so we'll just wait to hear what Lucas has up his sleeve. 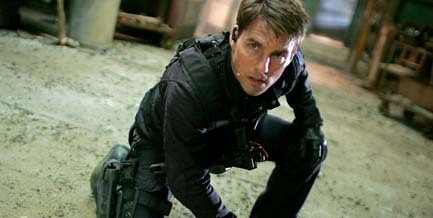 In the meantime, his next project Red Tails is in post-production, so sooner than later we'll see something from that. Sound good? At the screening of “Blue Valentine” on Sunday night in Park City, it went like this: a mad rush for tickets as journalists and distributors tried to get in to the still-unseen title starring Ryan Gosling and Michelle Williams. Then, after the screening: a meander out to the lobby and unenthusiastic huddling by executives from Fox Searchlight, Summit, Focus Features and others. It’s been this way at Sundance, which once upon a time could guarantee at least one brass knuckles bidding war per festival (usually involving Harvey Weinstein). Now the trend is to bid late and bid low – a buyer’s market where the buyers, few as they are, seem unenthused. “I’m not seeing any films that are commercial,” said Rob Friedman, the CEO of Summit, grabbing a slice of pizza between screenings. He’s looking, he said, for “another ‘Hurt Locker,’” the film that is winning the indie studio critical acclaim this season. All the buyers want something with a hook – humor, preferably, or horror or a pedigree – that has a marketing notion on which to hang a release. A “Thank You for Smoking,” or a “Napoleon Dynamite,” or a “Brokeback Mountain" [emphasis added]. Any of you who have followed GITS for even a few months will recognize in these words a point I've made again and again about the importance of a strong story concept. And for those folks who were questioning why I chose to have a 5-part feature on movie marketing, listen up: These are buyers of independent movies; and if they are obsessed with movies that have a "hook," a "marketing notion on which to hang a release" [i.e., build a marketing strategy), then how much more important do you think this concern might be for major movie studios? Answer: A lot! Once again: The single most important choice you make about writing a spec screenplay may very well be its story concept. If you have a strong one, you elevate exponentially the chances of selling the script and getting the movie made. Children of Men (2006): n 2027, in a chaotic world in which humans can no longer procreate, a former activist agrees to help transport a miraculously pregnant woman to a sanctuary at sea, where her child's birth may help scientists save the future of humankind. 28 Days Later (2002): Four weeks after a mysterious, incurable virus spreads throughout the UK, a handful of survivors try to find sanctuary. Waterworld (1995): In a future where the polar ice caps have melted and most of Earth is underwater, a mutated mariner fights starvation and outlaw "smokers," and reluctantly helps a woman and a young girl find dry land. The Quiet Earth (1985): A mans awakens to find himself alone in the world. Mad Max (1979): In a dystopic future Australia, a vicious biker gang murder a cop's family and make his fight with them personal. Planet of the Apes (1968): An astronaut crew crash lands on a planet in the distant future where intelligent talking apes are the dominant species, and humans are the oppressed and enslaved. Dr. Robert Morgan is the only survivor of a devastating world-wide plague due to a mysterious immunity he acquired to the bacterium while working in Central America years ago. He is all alone now...or so it seems. As night falls, plague victims begin to leave their graves, part of a hellish undead army that''s thirsting for blood...his! I've always had a love for all stories post-apocalyptic myself (disclaimer: I just might, in fact, be working on a major studio gig to that effect right now...), but to be totally fair, this really is a very, very hit or miss genre we have here... Mad Max 2 and 3 were incredible for their time, yes (the low budget of 2 actually had quite a bit to do with the raw, hard, gritty nature of the movie; an asset then, rather than a hindrance, and thus we'll see how the upcoming Mad Max 4 fairs with its $100M+ budget, and whether or not it can retain the high-octane energy of the first few...); but other than these few staples (I'll add 28 Days Later and Children of Men into the mix, as examples of exceptional directing if nothing else), what else do we really have? Have had this one sitting on my desktop for quite some time now, seems I'll finally have to get to it soon after all. Our good friend Mark Mitchell will be attending Sundance as of tomorrow afternoon, will see if he can't score a few tickets to this one (certainly it's going to be one of the more difficult screenings to get into, and just might require the pulling of a rabbit out of a hat...), and, if he does manage to catch it, we'll absolutely get a full review up for everyone in short order.